Vanbreda Risk & Benefits is a partner of Doccle. This is a free online platform where you can store all your correspondence relating to your medical plan in digital form, rather than saving it on paper. In your digital letterbox you'll find all your important documents in one central place, whenever and wherever you want them. Doccle is a digital letterbox and filing system. 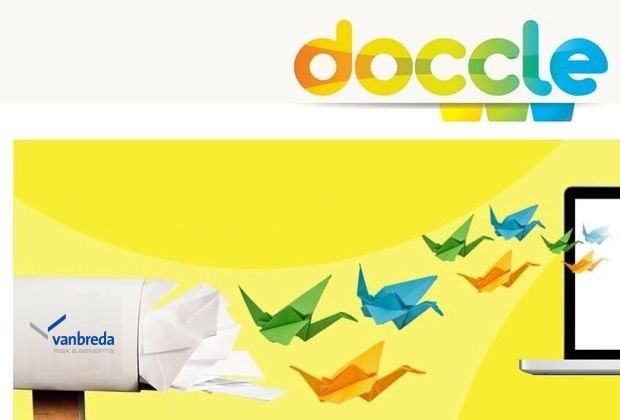 You can use Doccle to store your correspondence with various companies online, instantly saving and managing them. Every time a new document arrives you’ll receive an alert e-mail letting you know that there is post in your digital letterbox. These could be statements for settlements for costs, premium notifications, certificates and similar documents. You can then look at your post, save it and move it into a ‘Doccle folder’ of your choice. This lets you manage and organise your post easily and clearly. I'm connected to Doccle, but how do I connect other members of my household?